The much-awaited London Book Fair 2017 is one of the biggest global events in the world of publishing. It will be held on March 14 to 16 at Olympia in West London, and is expected to be attended by over 25,000 publishing professionals—from buyers to agents to librarians and authors like yourself. This event serves as one of the most important marketplaces for rights negotiation as well as the distribution of content across multiple media, including print, audio, digital channels, TV, and film. 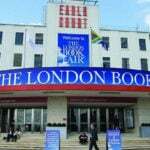 The 2017 book fair, which coincides with London Book & Screen Week, is an excellent venue to promote your book and give it much-needed publicity and credibility. The event will cover a wide range of markets and interests within the publishing industry, with several activities ranging from meetings between major publishing companies, autograph sessions, introductions of new titles to visitors, and of course, workshops and seminars tackling current trends and issues in the industry. If you are an independent author wishing to market your work in the London book fair, you will be pleased to know that there is no need to spend a huge amount of money to achieve your goal. 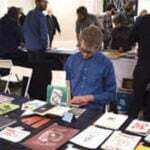 The Combined Book Exhibit provides indie authors and publishers an affordable means to present their work to the fair’s international audience. You can pay for your book to be displayed in the fair and then listed in a print catalog, which will be distributed (free of charge) at the fair. Your book can also be featured in the Combined Book Exhibit’s online catalog and database, and will be searchable available online for two years (at least). Are you interested in joining this year’s fair? All you have to do is send one display copy of your book and let the staff of the Combined Book Exhibit do the rest. It couldn’t be simpler. This arrangement has helped many independent authors and smaller publishers remote their titles on a worldwide stage without the steep costs usually associated with international book marketing. The Combined Book Exhibit provides an excellent opportunity to display a hardcover or paperback copy of your work at the London Book Fair 2017. You can also choose to promote your book in other shows throughout the year, most notably the Frankfurt International Book Fair to be held in Germany, and New York City’s Book Expo America.